Do you want to host an event, meeting or party that will go down in history? 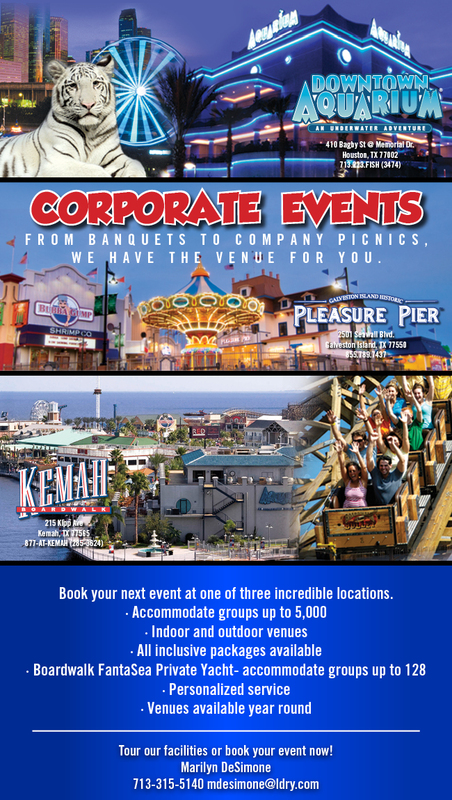 Taking your event to the Pleasure Pier makes everything more fun! Have a party of 25 or more? If so, you're eligible for our group discounts and packages. In order to obtain group pricing, tickets and packages, you must purchase through our Group Sales Coordinator, Monday thru Friday, between 9am and 5pm. Please note that submission of the Group Registration Form is not a date confirmation unless you have already spoken with our coordinator. To book an event immediately, please contact the office directly. The Pleasure Pier's spectacular waterfront location on the legendary Galveston Seawall is an ideal setting for group events in the Galveston area! Book at one of our three incredible locations! Organizing a school trip of 10 or more to experience some of Galveston Island's most memorable locations? Field trips are available any time during the months of June through mid-August, Monday thru Friday. September through May available any time on Thursdays & Fridays. Call or email for availability! Teachers, you don't want to miss out on this exciting opportunity! The Pleasure Pier is now offering a reading program for grade levels kindergarten - 6. 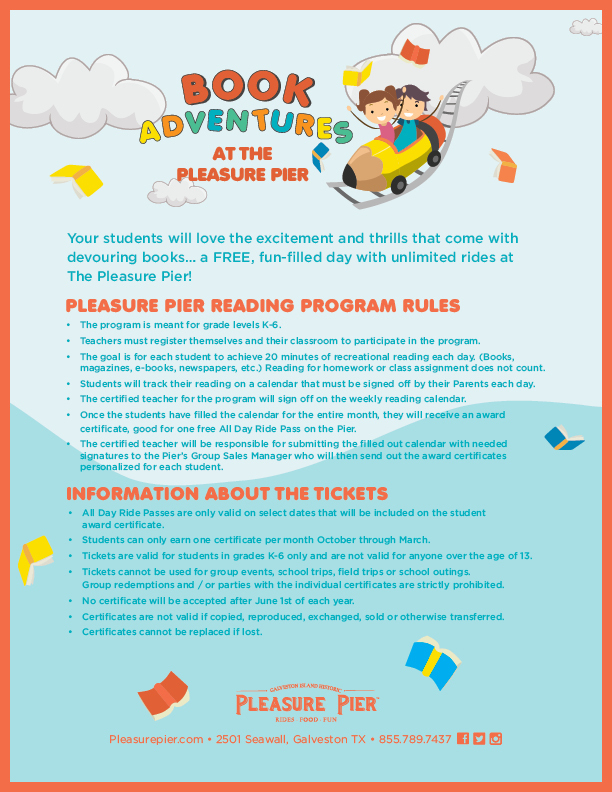 Your students will love the excitement and thrills that come with devouring books - a FREE, fun-filled day with unlimited rides at The Pleasure Pier! Check out all the rules here! Registration starts before school begins for the year in July/August. Make sure to call in advance! 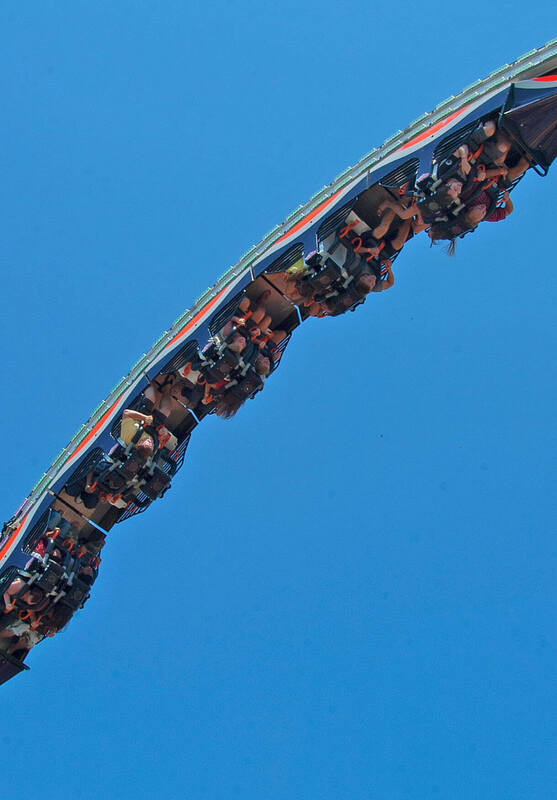 Earn your Boy Scout and Girl Scout Merit Badges at the Pleasure Pier! Come enjoy a fun troop outing and earn badges! Call us and book now! All programs are $29 per Scout and are three hours long with snack included (except with Overnight programs). Actual awards are excluded and each program is only open to scout divisions and their adult leaders. Upgrade your program for $10 to include an All Day Ride Pass! Calling all bands, choirs, dance groups and other performers! Shine on Stage 25 at the Pleasure Pier with this group package. Minimum group size of 15 (1 Chaperone pass per 15 performers). Reward Your Employees! Nothing builds a team better than a day of rides, games and delicious food at the Pleasure Pier! Host your child's birthday party with great packages to choose from! A minimum of 8 kids and a maximum of 60 guests total. Please note that submission of the Birthday Party Form is not a date confirmation unless you have already spoken with our coordinator. To book an event immediately, please contact the office directly.